“Why not combine the two best drinks of summer into one delicious cocktail?” must surely have been the reasoning behind the easy-to-make and even easier-to-drink Beergarita. As its name implies, it’s basically a margarita mixed with beer, minus the fresh lime juice and Cointreau. 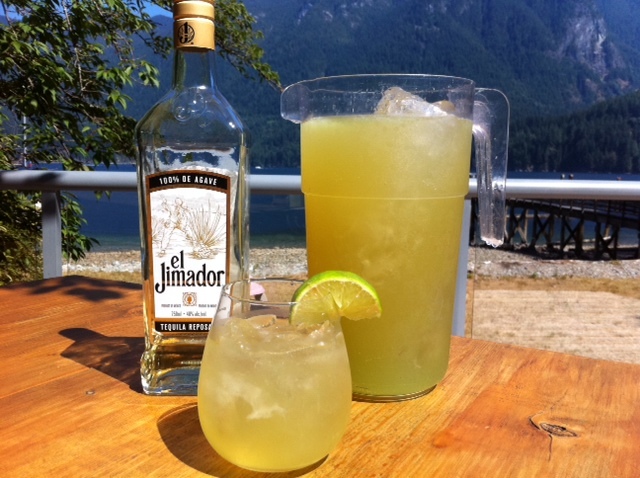 Beer + tequila + limeade = instant beach party. Blake first learned of its existence during Stampede week, when a co-worker let him in on the secret to a summer holiday, day-at-the-beach perma-buzz. (Don’t let its neon colour turn you off; it’s just the limeade.) The beauty of this drink is you can sip it like a margarita or guzzle it like a beer, your choice. Into a pitcher dump the limeade. Fill the empty limeade cannister with tequila then pour it in. Add the beer and stir like you’re making juice to dissolve the limeade and combine the ingredients. Add ice to chill and serve over ice in a rocks glass (or plastic party cup). Perfect for sundown-sipping on the dock. 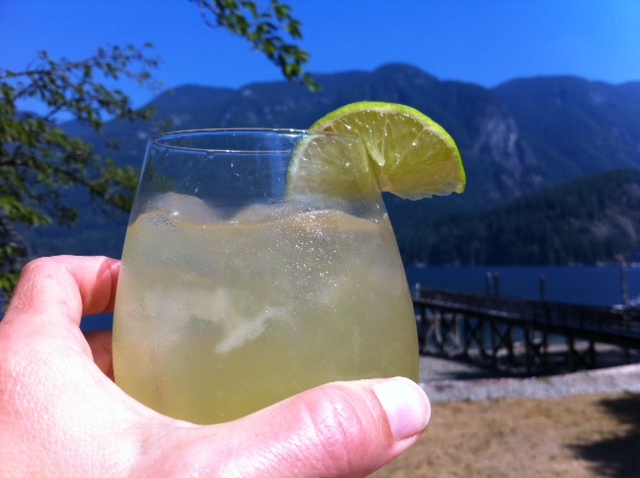 This entry was posted in Cocktails and tagged beach cocktail, beergarita recipe, cocktails with beer and tequila, Drink of the Week, tequila cocktails. Bookmark the permalink.